Having fun with Ethnic this time. 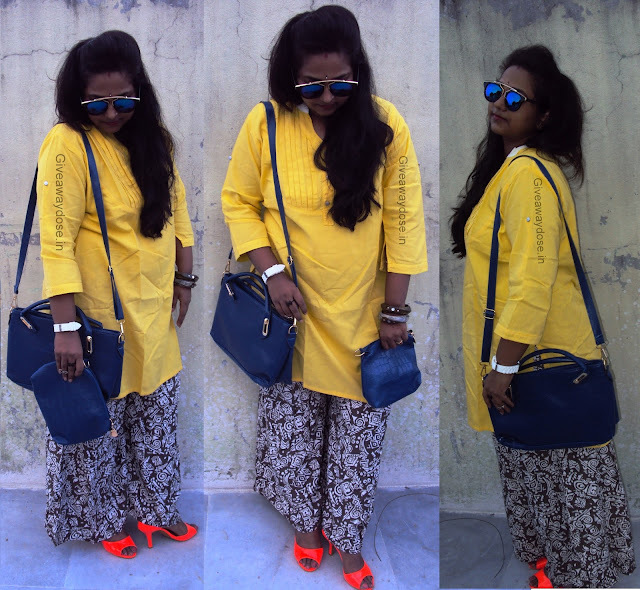 Wearing Printed Palazzo pants with Yellow kurta. I've nominated your for Liebster Award here http://maliveandkicking.blogspot.in/2015/11/my-first-liebster-award-2015.html.